If you follow me on social media, or read my other blog, you’ve probably heard me talk about going to various Blog On conferences over the years. These excellent blogging conferences are known for their goody bags (if you don’t believe me have a look what was in last May’s one here) and also for the wonderful brands that attend, looking to work with bloggers. 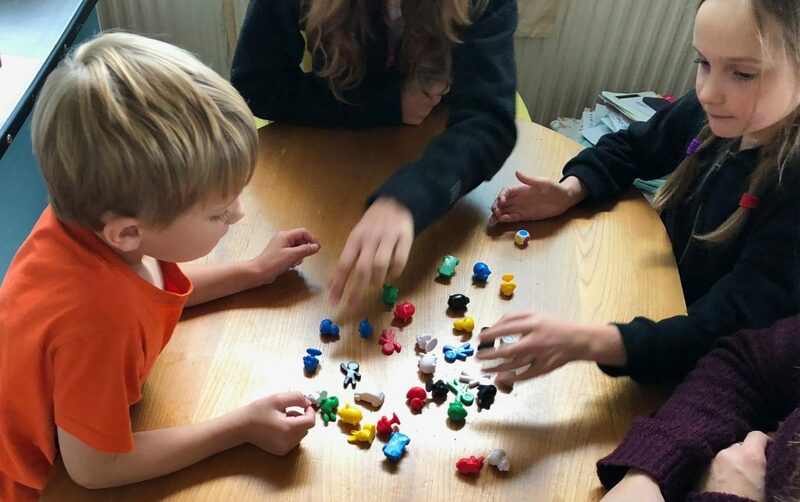 Bonn and I were thrilled when it was announced that this Septembers Blog On was going to be “Blog On Toys”, fitting in perfectly with what we cover here on Penny Plays. Just as soon as we finished editing the video we’ll share with you what we found in our Blog On Toys goody bag, but there’s one particular game that I’m already seeing loads of conference attendees featuring on social media and having tried it out with the kids over the weekend we thought we ought to feature it here too. Grabolo. 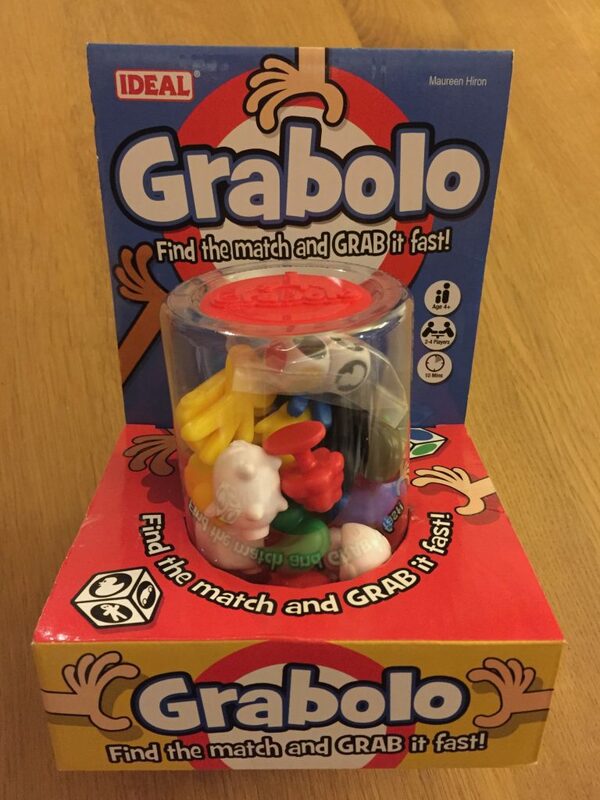 Now, as the name somewhat suggests, the main skill you need to be good at Grabolo is being able to grab something quickly. But that’s not the only skill you need to win the game. The aim of the game is to be the first player to collect the required number of playing pieces. 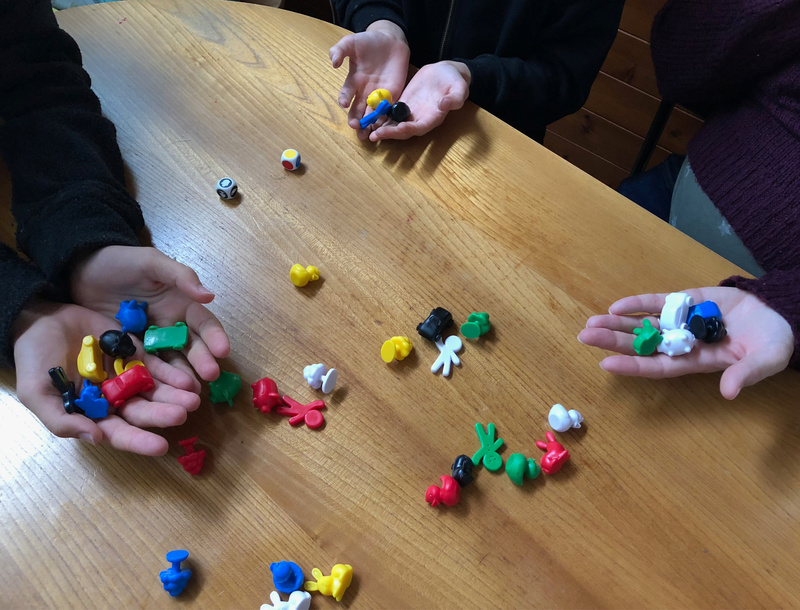 The playing pieces themselves are different coloured plastic pieces that are in the shape of either a duck, a car, a rabbit, a pig, a tree or a man. In a set you get each of these shapes in each of yellow, green, blue, red, black and white. There are two dice in the set – one which shows the colours and one which shows the shapes. To play is simple – the playing pieces are spread out on the table in front of you. The youngest player rolls both dice and then the race is on to grab whatever coloured and shaped piece is depicted by the dice. So for example blue and a duck means you have to find the blue duck. Whoever grabs the piece first keeps it and hides it in their hand. Play then continues by the next person clockwise rolling the dice. Whilst this all sounds logical whilst all the playing pieces are on the table, what about if the piece shown on the dice has already been collected by someone else? That’s where the game gets really interesting as it’s not just lightening reactions that players need, but also a good memory. If you think that a playing piece shown by the dice is already being held by another player then you can shout out their name. If you’re correct and they hold the piece then you win it from them. However, if you’re wrong (and the player has to show their hand and prove this) then you have to forfeit one of your pieces back onto the table. If you see a playing piece come up on the dice and it’s one that you already have in your hand then you can name yourself at this stage in the game so that you don’t have to give it up to another player. It all sounds so simple, but do you have any idea how tricky it is to remember what you’ve got in your own hand, let alone what everyone else has picked up? The number of people playing the game determines the required number of playing pieces to win. 10 pieces, in a two player game, 8 in a 3 player game and 6 in a two player game. And in a nutshell, that’s the game. Beautiful in how simple it is. But at the same time complicated enough to keep everyone’s attention. We played with four players: two adults, a 14 year old and an eight year old. 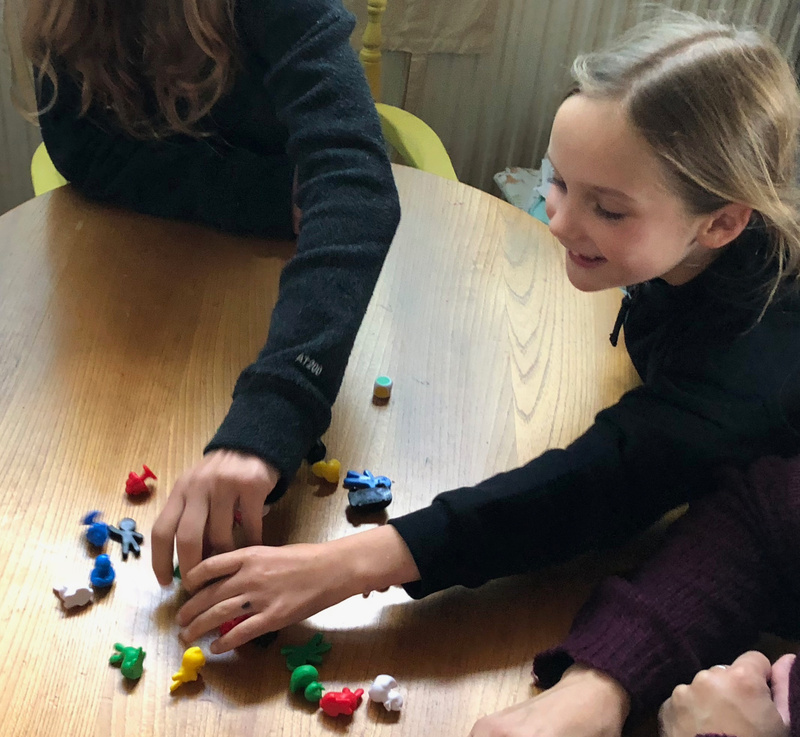 There was no doubt that the teenager was quicker off the mark than the adults at grabbing the playing pieces from the table, but the adults had the advantage at remembering who had what. The eight year old declared it great fun, but got frustrated when she couldn’t remember who had what. With a bit of practice though she soon seemed to be getting more into the swing of it. The six year old wandered into the room mid-game and was keen to join in, but then got annoyed that he couldn’t collect all the cars and wandered out again! What was clear about Grabolo though was what great fun it was. 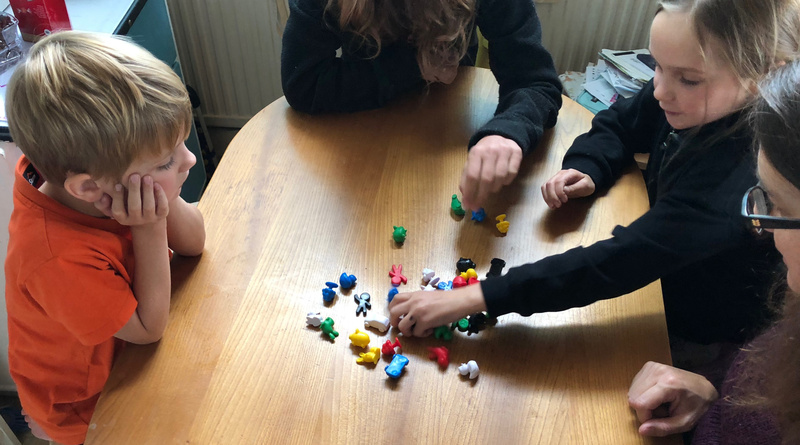 The recommended age range is 4+ and it’s definitely simple enough for a four year old to play, even if you’ve them a bit of leniency on managing to hide pieces in their hand once they’ve grabbed them. Disclaimer: We were given. copy of Grabolo in our goody bag from Blog On Toys. All opinions remain my own. This post contains affiliate links. Price correct at time of writing.